They are both DEAD! On premise email archives were the rage in the 2003-2006 era when Exchange mailboxes were restricted to 500MB or less. Can you believe we used to survive with such a small mailbox? Now we can all get an Office 365 Exchange mailbox with 250 GB capacity (E1 license) or unlimited capacity with the E3 or E5 license. They are BOTH really scary! 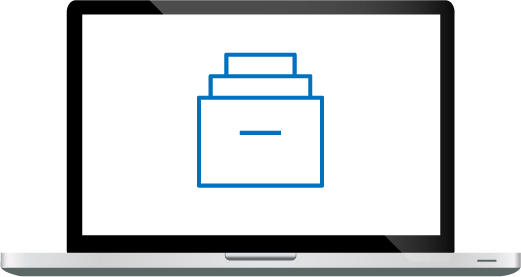 Have you ever tried to manage an old, obsolete email archive? Pity the poor system admin who arrives at a new job and is facing a legacy email archive. You can be certain that the system is likely failing and you can expect little (or no) support from the manufacturer (if they’re still around). And good luck trying to figure out who the manufacturer is! Most old archives have been bought and sold 2-3 times. They are BOTH dangerous to get rid of! Ever try to de-commission a legacy email archive? Forget the notion that you can just turn it off or set in “the corner” and let it age-out. The archive potentially contains email data subject to regulatory retention requirements, data potentially relevant in current or future anticipated lawsuits, or reference-able data employees occasionally reference… End users are notorious for keeping their old email “forever” and legal hold data is the same. Because legacy email archives rightly strike terror in most IT administrators, they have begun the process of migrating their email environment to Office 365. The problem is many either don’t realize they should also migrate their on premise legacy email , or they ignore it and hope it goes away… Not the right strategy! 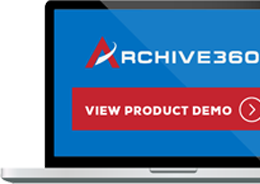 At Archive360, we are the experts in migrating legacy email archives, trouble-free. We have successfully migrated over 500 legacy archives and 12 PB of data and helped our customers shut down their on premise archives for good. So if moving your legacy email archive to Office 365 feels like THE MIGRATING DEAD; Painful, Slow, and Risky, … Stop running and fight back with Archive360!